Morning Star Fishermen's mission is to change lives through aquaponics. Through our unique education and training program we equip communities to feed themselves in a sustainable way. Using aquaponics, we teach people to raise fish and organic vegetables in a closed system. "Give a man a fish and he eats for a day; teach him to raise fish and vegetables and the whole village eats." 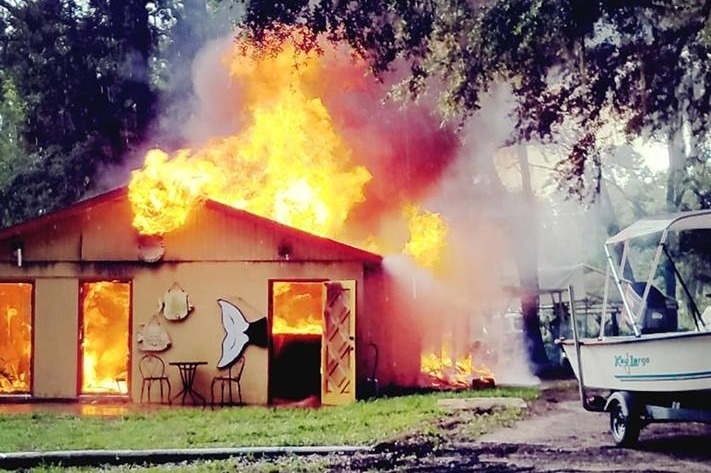 Morning Star Fishermen experienced a devastating fire due to a lightning strike and lost its offices (and 10 years of records) and its workshop (and all of its tools and equipment, such as lawnmower, generator, skill saw, hand tools, etc.). 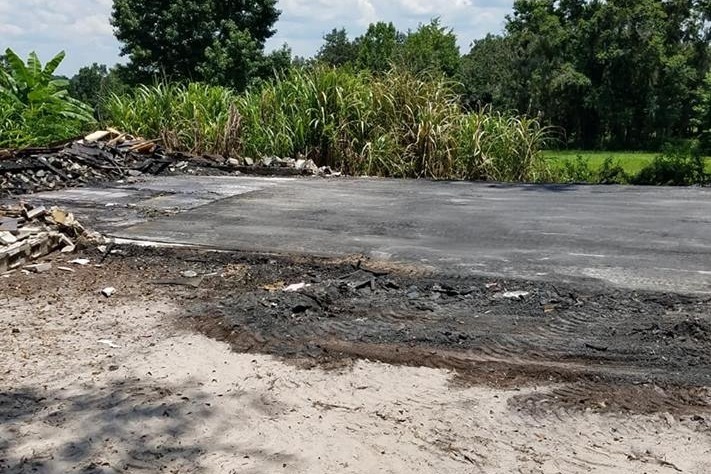 The estimate to rebuild and resupply is $60,000. This faith-based ministry depends entirely on donations and operates on a shoestring. It is also debt-free. Please help us continue our work and maintain our debt-free status by making a donation to our work to provide aid and to distribute the love of God to everyone we touch. Our building was totally destroyed. We have nearly completed the demolition and debris removal will some volunteer help. Can we count on your support for our good work? Every donation is both needed and appreciated. We promise that we are very frugal with our money and try to maximize the good done with it. Thank you for considering. Please view our website, www.morningstarfishermen.org (where you will find a one-minuted animated video describing our work) or contact us via information provided on our website. Thank you for your support of our ministry. We have worked hard this week to remove the debris and clear the slab for rebuilding. We really hope that YOU will see value in what we are doing and be moved to help in whatever way you can. Thank you!